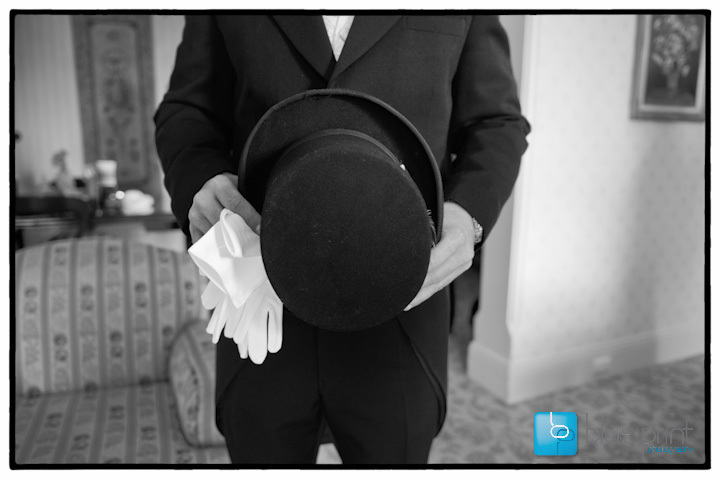 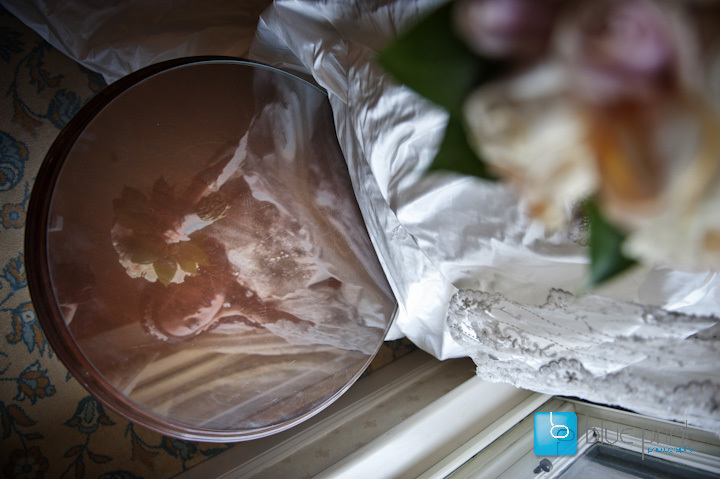 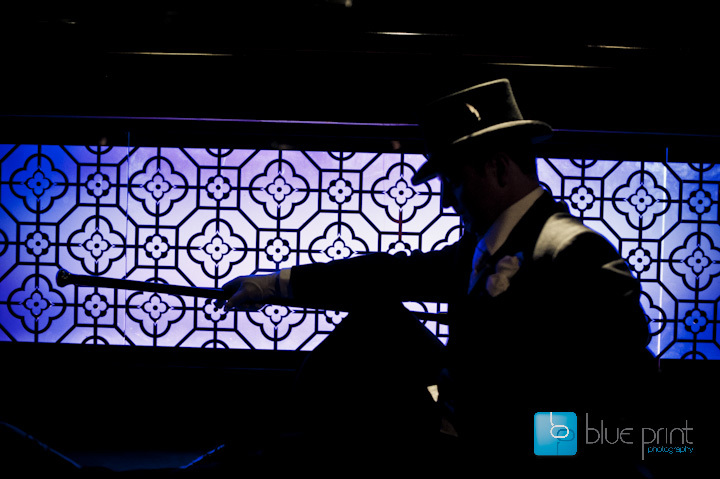 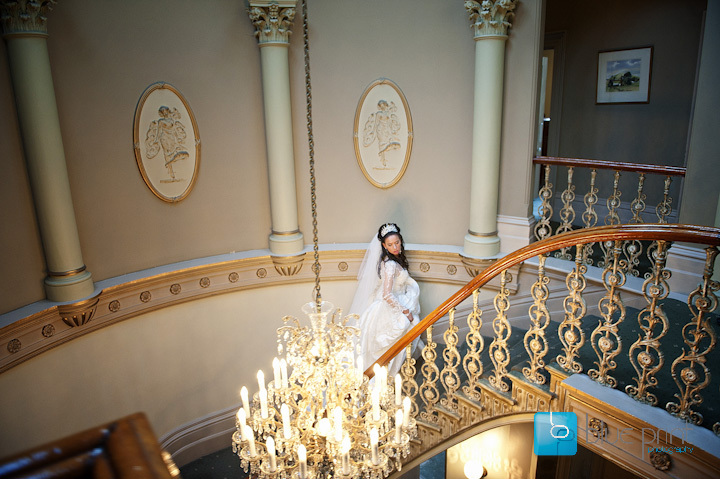 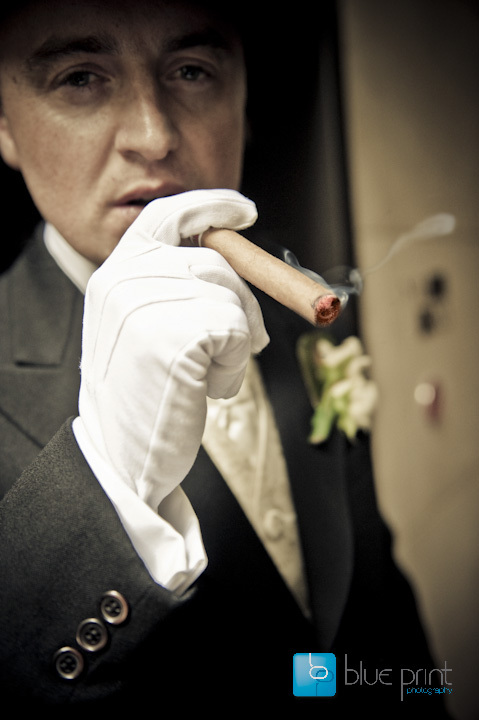 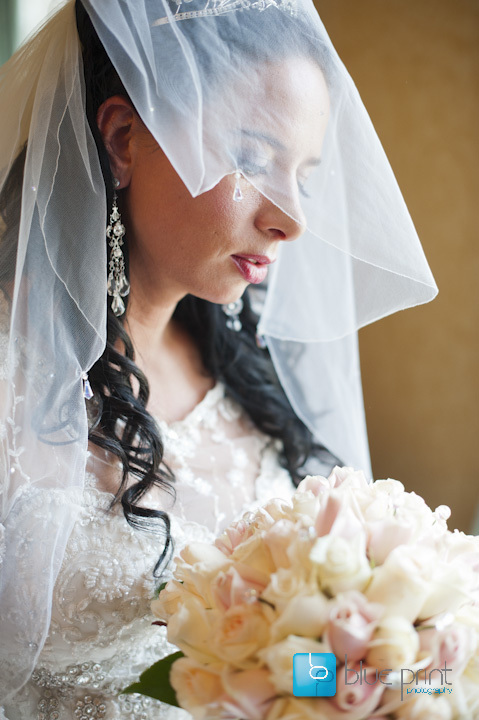 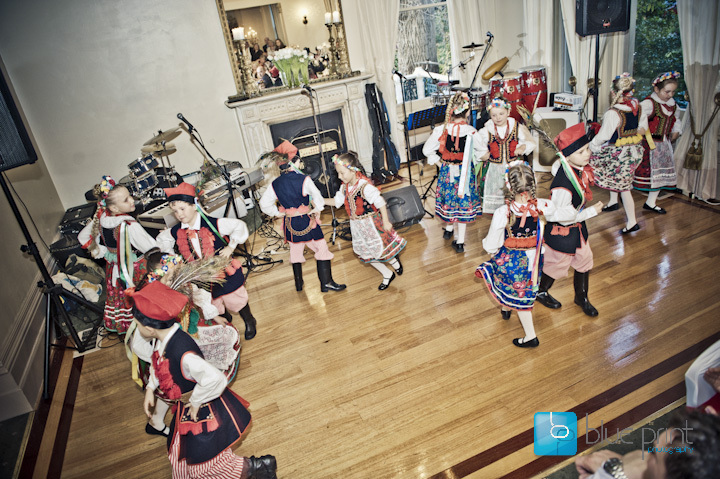 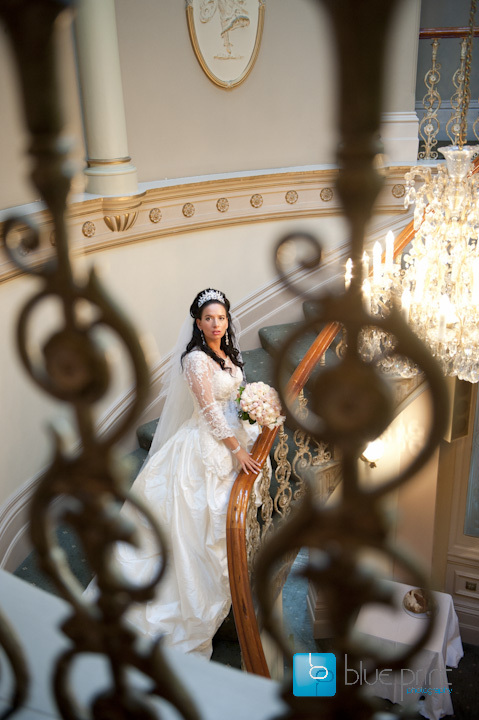 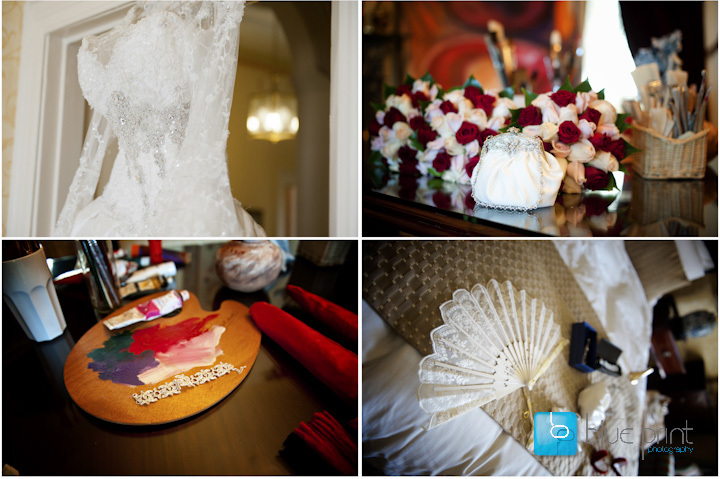 Elegance and attention to detail sums up Joanna & Milosz’s special day. 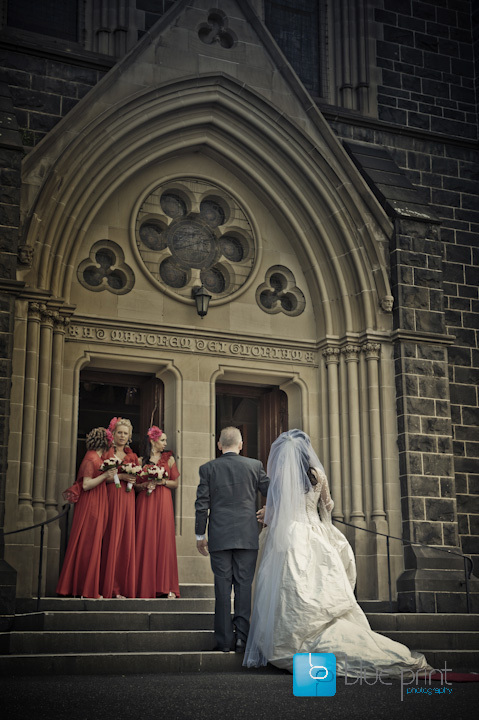 The red and white theme tied in with their Polish background. 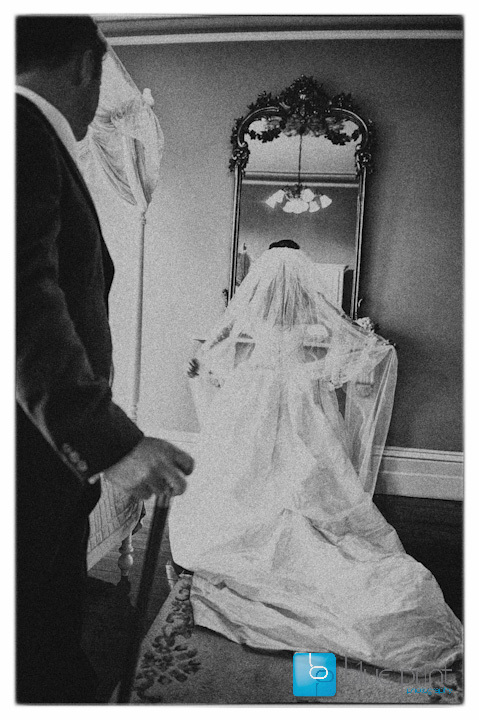 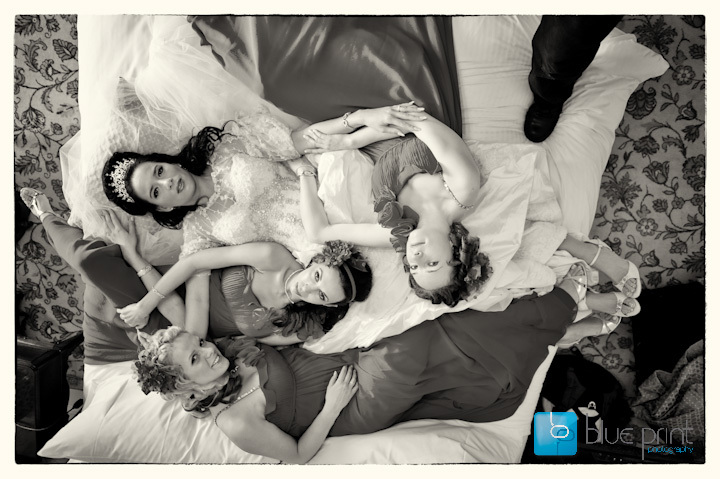 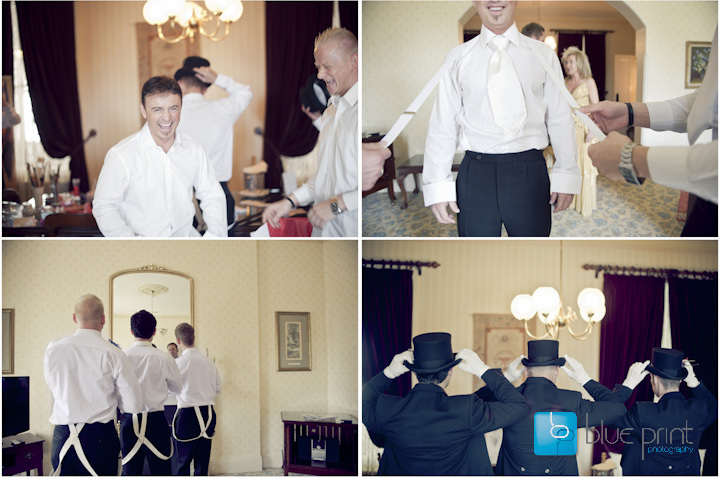 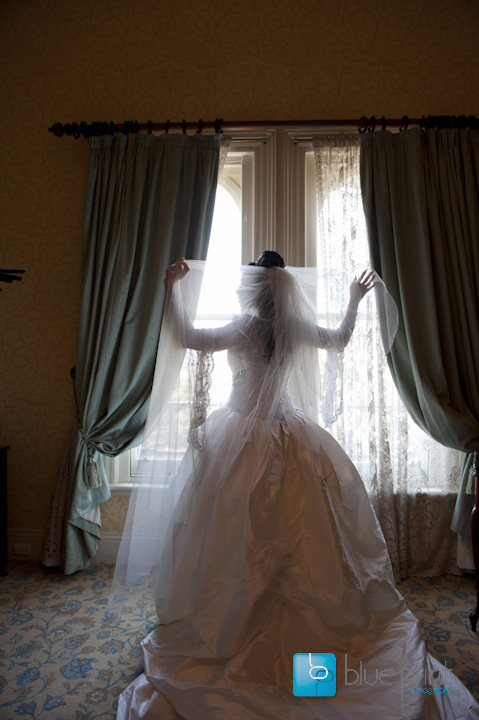 The day started at the regal Hotel Windsor where they both got ready in the Royal Suite. 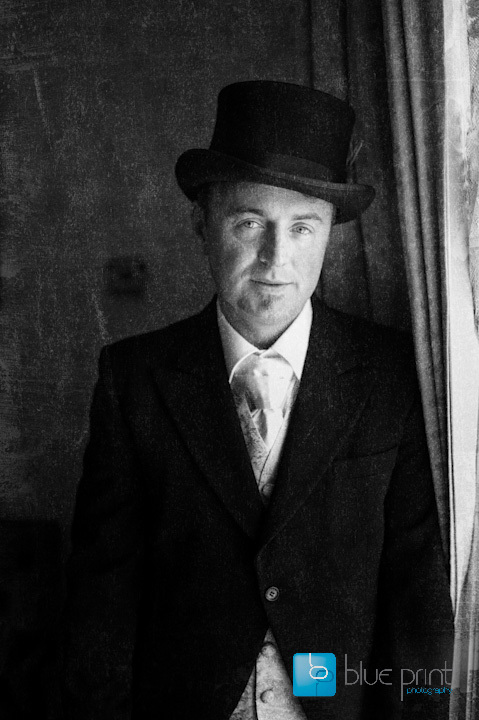 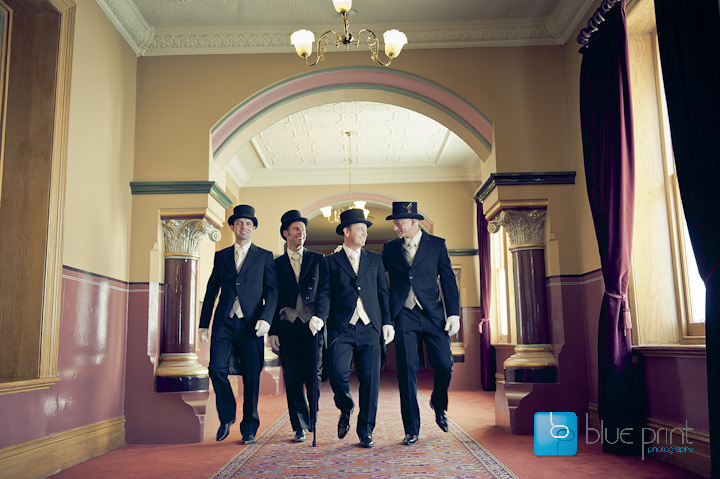 Top hat, cane and white gloves for the boys with a stunning princess dress for Joanna with the girls in red. 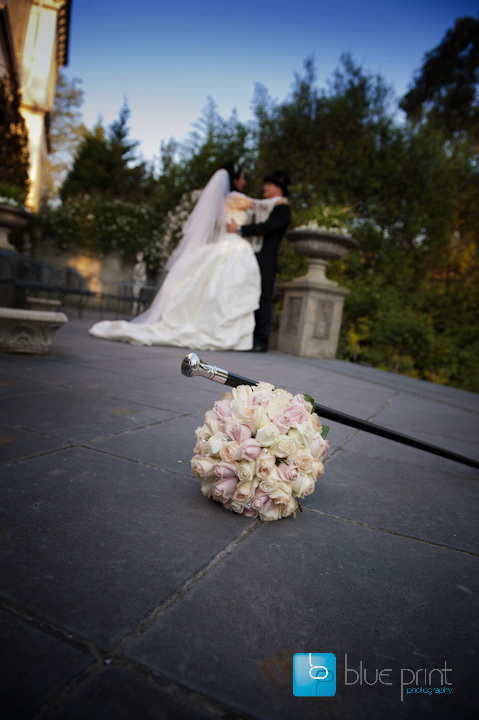 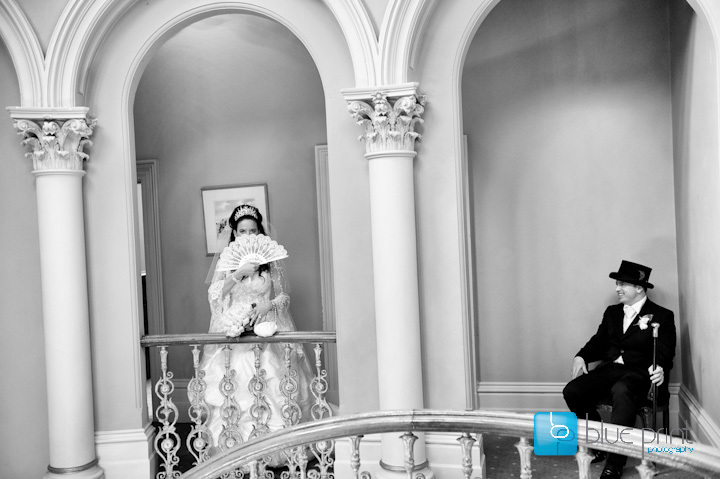 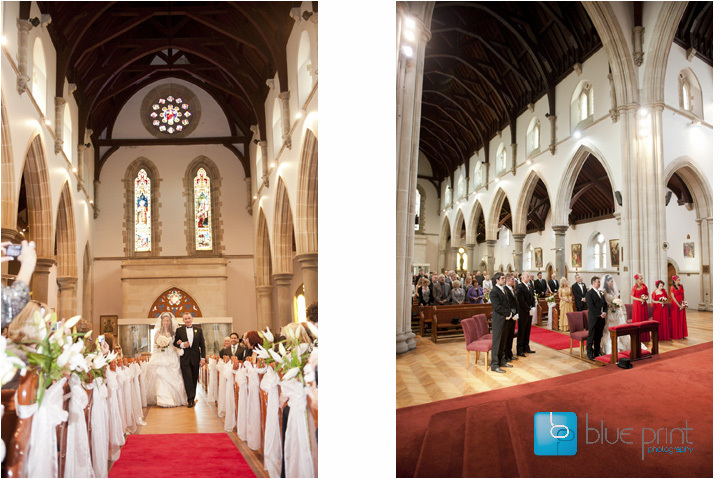 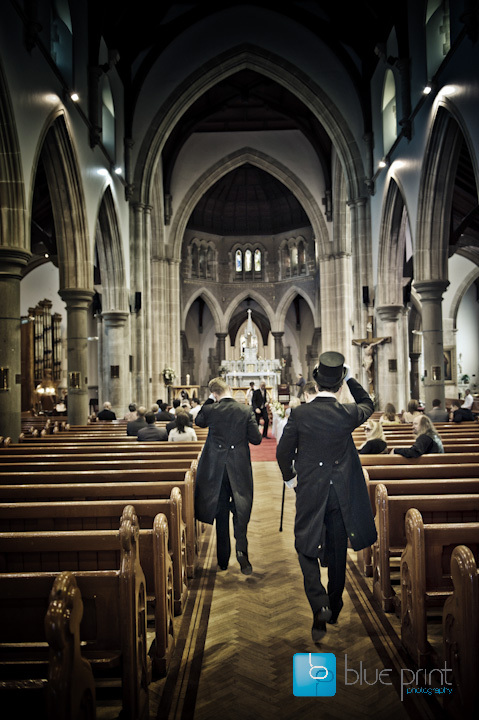 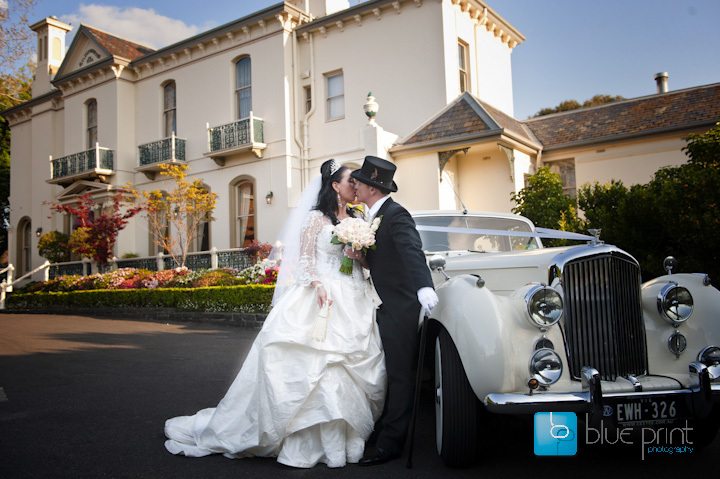 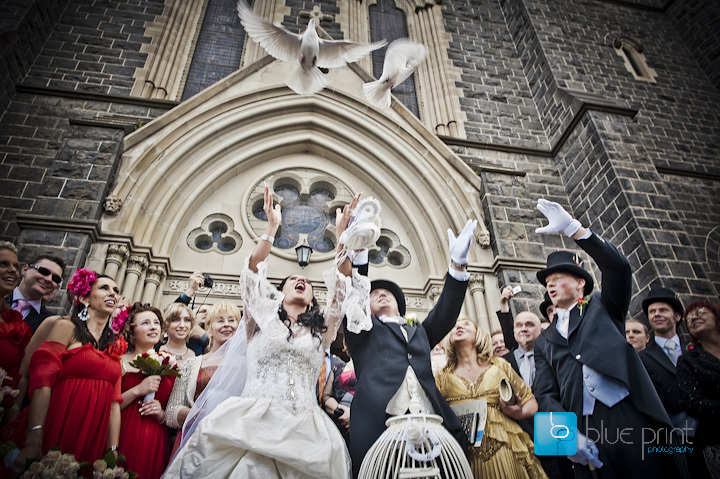 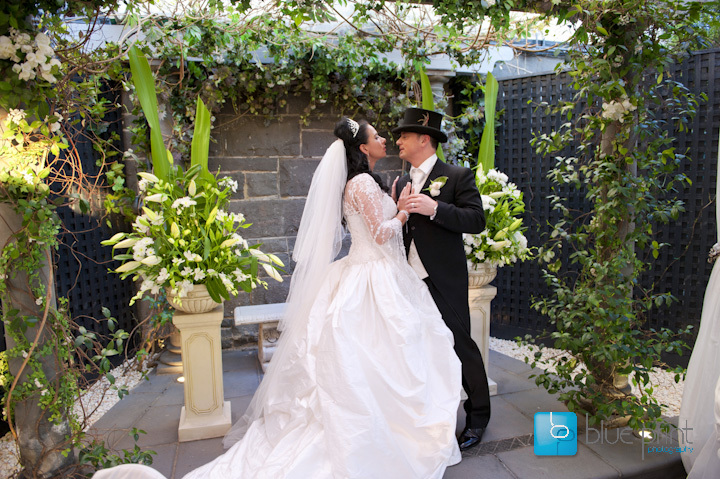 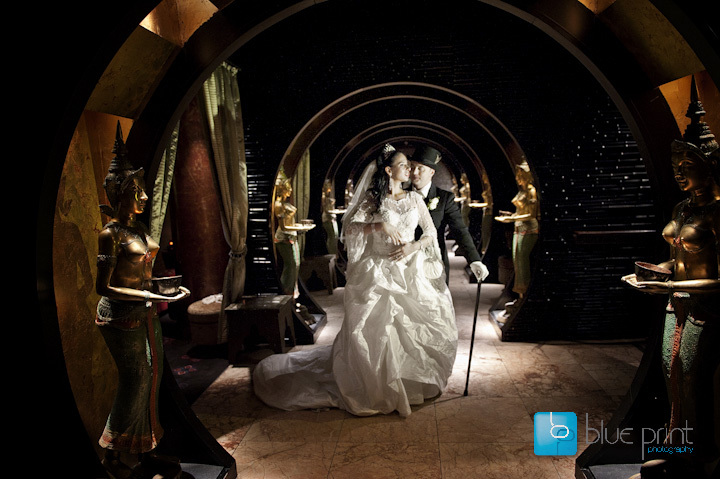 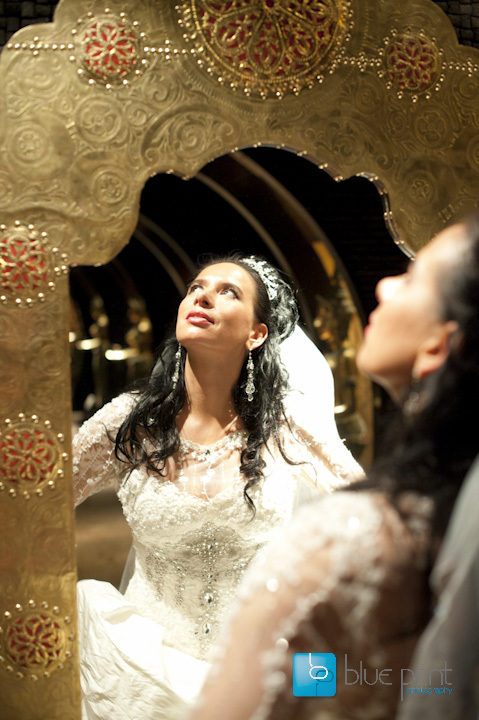 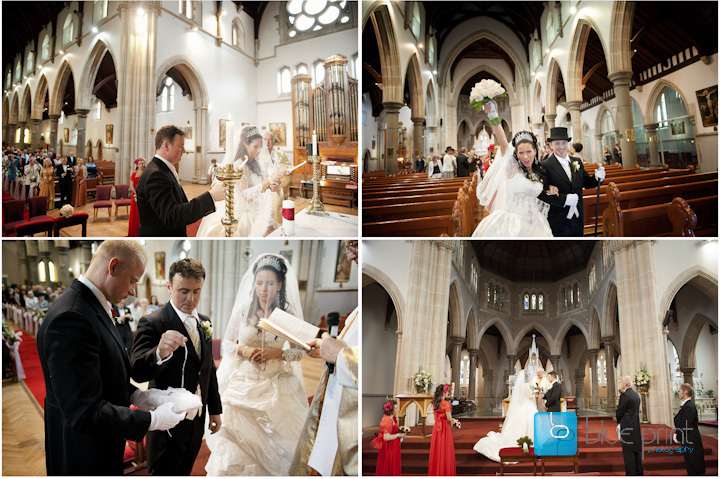 The historic St Ignatius cathedral in Richmond suited them perfectly for their grand wedding. 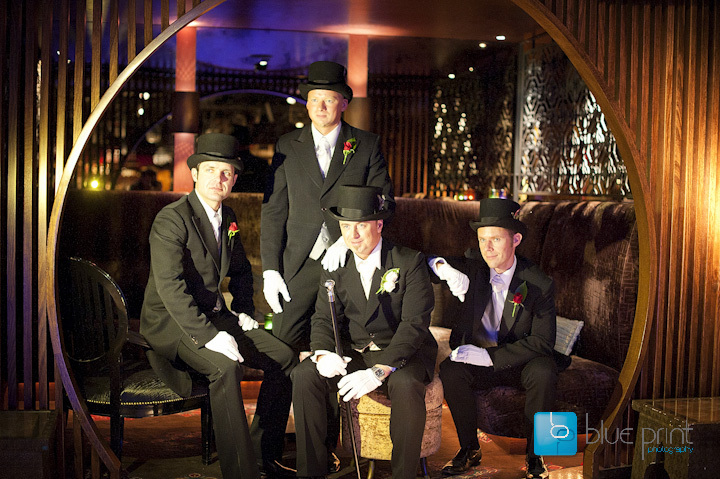 The guys added a more contemporary far eastern touch to the day when we headed off to the lavish Spice Market night club. 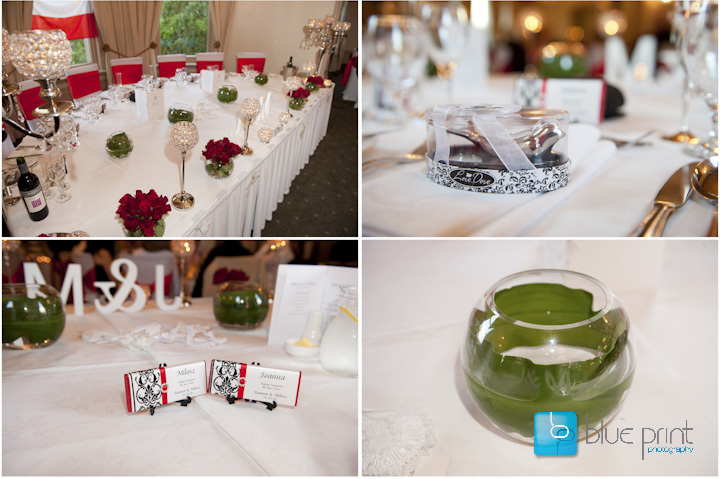 The day was topped off with their reception at Butleigh Wotton.